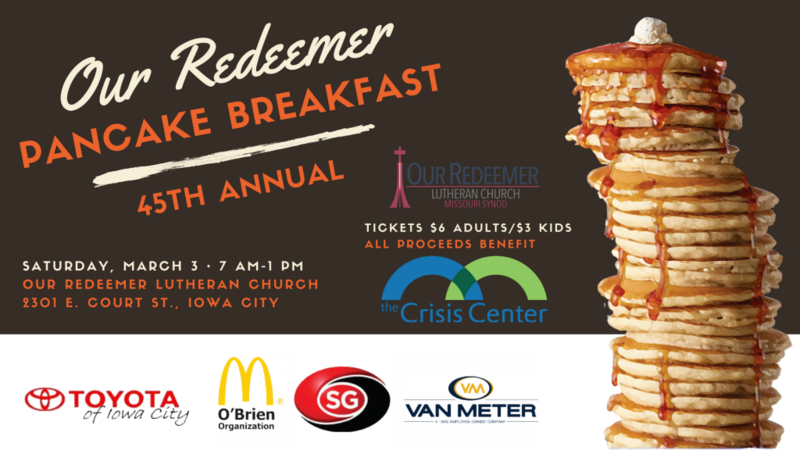 Join us Our Redeemer’s 45th Annual Pancake Breakfast Fundraiser! 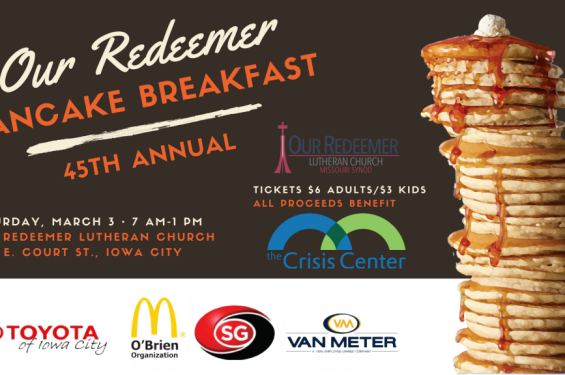 All proceeds benefit The Crisis Center. Breakfast includes all-you-can-eat pancakes with toppings and fresh pork sausage. Coffee and condiments are generously provided by O’Brien Family McDonalds. Address: 2301 E Court St.